Processing and mounting your deer at affordable prices! Follow us on facebook for the latest news and monthly giveaways! 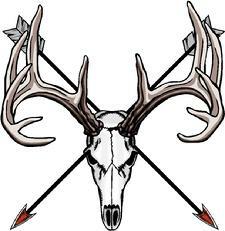 Welcome to Craven Deer Processing and Skull and Bones Taxidermy. We are located in the Heart of Randolph Co in Asheboro, North Carolina. We are dedicated to offering you the best service possible in deer processing. We specalize in deer but also process other game animals as well. We offer top notch European skull mounts and quality plaques to put them on. 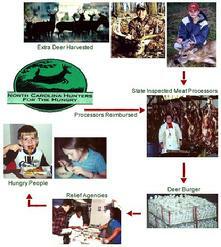 Craven Deer Processing is a NCDA INSPECTED FACILITY that offers field to freezer service. You shoot it, load it up in your truck and bring it to us and we will do the rest. No more wondering what to do with the meat, skin and guts or if you have time to get it dressed tonight. Full service processing starts opening day of Muzzle loader season to the last day of the regular gun season. We offer deer processing beginning in September but we do not skin and gut during bow season. For hours and prices please check the deer processing page. 1. Wear your hunter orange when gun season comes in. 2. Punch out the hole in the tag once you have possession of the deer but DO NOT cut the tag off and put it on the deer. That will get you a ticket. All tags should remain on the sheet you received it on with your bear and turkey tags. 3. If you are taking a hunter under the age of 16 and they are accompanied by an adult or have had the Hunters Safety Course and passed they CAN NOT kill a deer and legally use your tags to check it in. You can obtain tags for youth hunters anywhere you can buy a license. Starting this year all license agents will be charging $2 to print your tags. You can still get them free directly from the NCWRC. 4. Yes, you can kill a deer on your own property under certain circumstances without purchasing a license. BUT...you must get your free land owners tags to remove the deer from your property to go anywhere...especially here,lol! 5. When in doubt about a regulation, check the free NC Rules and Regulations digest or go to their website at NCWILDLIFE.ORG or call your local Game Warden. They are there to keep you safe and to help you understand the laws when you have a question. We are partnered with the NC Hunters For The Hungry. All you have to do is drop off any deer that is legally taken that you may not have room for and we will make sure that it gets to a family that needs it. Info on monetary donations to the program can be found on our contact page or at nchuntersforthehungry.org. We have processed over 64,000 lbs or over 32 tons of hamburger we have been able to donate to the hungry over the last 9 years because of you! We had another great season of donations of deer for the hungry during the 2018 season. We finally broke the 300 deer mark for a single year with 302 deer being donated in the 2018 season! We have set the bar high again this year and NOTHING is going to stop us from trying to hit it! This year we are shooting for a even larger target...325! Lord willing we are shooting for 325 deer to be donated in the 2019 season! Yup, thats right, 325 deer would be around 6 tons of meat to feed the hungry here in central NC. Thanks again to all you and I hope to see you again this year! 2010 Season......92 deer donated.....3,720lbs of hamburger. 2011 Season....143 deer donated.....5,696lbs of hamburger. 2012 Season....194 deer donated.....6,995lbs of hamburger. 2013 Season....210 deer donated.....6,635lbs of hamburger. 2014 Season....221 deer donated.....6,883lbs of hamburger. 2015 Season....220 deer donated.....6,730lbs of hamburger. 2016 season....215 deer donated.....7,314lbs of hamburger. 2017 season....258 deer donated.....8,557lbs of hamburger. 2018 season....302 deer donated...10,243lbs of hamburger. 2019 season....We need you to help decide this years totals!